FC Barcelona Lassa came away with a hard-fought 3-1 win at Cartagena which seals their ninth straight league victory and keeps them at the summit of the table. Barça started on the front foot and asked the early questions, with Dyego and Roger each going close with powerful efforts. Despite their dominance, the visitors looked to be going into the break without reward. 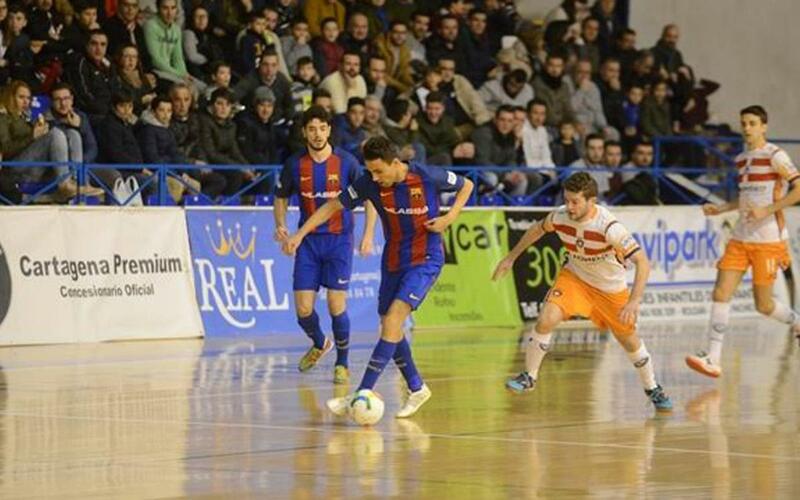 But 17 seconds before the half-time whistle, Roger Serrano put Barça ahead after some fine work from Marc Tolrà. Barça carried that positive momentum into the second half as, just three minutes in, Ferrao doubled the team’s advantage. The Catalans further dominated after the second goal, as Ferrao, Dyego and Aicardo each went close to wrapping up the game. However, Cartagena found a way back into the matchup as Jesús Izquierdo made things interesting with four minutes to play. Though the home side’s hopes quickly vanished as Adolfo struck with two minutes to go for his 16th of the campaign and a ninth straight win for Barça.